All of the precision metalworking trades, known collectively as tool-and-die-making, have mastered the art and science of precision tool grinding. This is an interesting and challenging part of the industry. 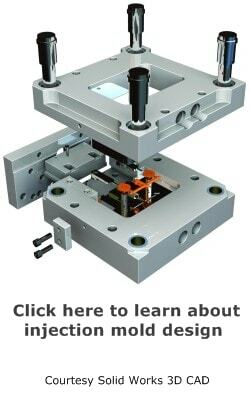 Whether you are building an injection mold, stamping die, forming die, progressive die, or making production machinery, nearly all of the finish operations require grinding of one sort or another. Toolmakers who excel at precision surface grinding are quickly becoming an endangered species of sorts. If you were to visit a typical shop, you would see that the average age of those grinding is probably about 55. Very few apprentices are being trained to take their place. This is unfortunate, because no matter how good the CNC machines become, somebody is going to have to do the final fitting and finishing. The large CNC surface grinders are very valuable production tools. They can produce high quality finishes and extremely accurate work. Probably every mold base or die shoe has been ground by one of the precision machines, whether a Blanchard or Brown and Sharpe surface grinder. The centerless grinder, cylindrical grinder and tool and cutter grinder all have different applications for grinding round components. The centerless grinder seems to defy common sense, but is very accurate and can produce perfectly round parts, day after day. 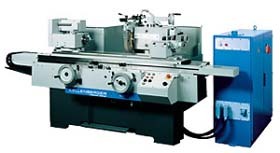 For the typical tools shop, the cylindrical grinder takes care of most of the round cores and pins. With some experience, highly accurate tapers and straight diameters are routinely done. It is quite common to hold tolerances such at .0001 in/.0025 mm. The vast majority of wheels used are made of aluminum oxide. This is the white to gray colored wheel that is so common. These wheels are one of the best investments in the shop. One wheel can be used over and over again, resharpened, reshaped, and reused. There are many companies manufacturing grinding wheels: Norton, Bay State, and Camel are some of the more common brands. These wheels come in a huge variety of sizes, from .125 in diameter to 24 in. or even larger. 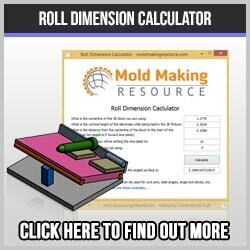 Other wheels can be made out of silicone carbide, which is harder than aluminum oxide. This is useful for non-ferrous metals, cast iron and carbide. Often these wheels seem to work on exotic materials that do not respond to other wheels. Another application is for grinding M2 tools steel on a Ded-Tru grinding machine. Diamond wheels are not used for grinding steel. They load up, degrade and simply do not work! In the jig grinder, CBN wheels perform very well, usually much better than anything else. The drawback is that you cannot use a wheel dresser to shape them. Most manual surface grinders are not equipped with flood coolant, therefore special attention must be paid to keeping the workpiece cool. This can be a real problem for several reasons. The most obvious is that metal expands when heated, and grinding produces a lot of heat. Peripheral mist coolant can be applied, though this is often neglected due to the mess it makes. Another option is use a paraffin based wax. For certain steels, such as 420 SS, this helps a lot. By coating the workpiece, or applying the wax to the spinning grinding wheel, the wax acts as a lubricant and keeps the wheel from loading up. Another simple method is to periodically set a piece of flat copper on the workpiece to act as a heat-sink. This works surprisingly well and speeds up the cooling time dramatically. Grinding hardened steel requires different technique than soft steel. A simple test with a Rockwell hardness tester can determine just how hard the workpiece is. Generally, hardened steel is easier to grind and leaves a better finish.